A creamy white moonstone has been set in a Victorian style hand fabricated sterling silver ring, with a light and yet ornate shank. The flash is visible in certain lighting and position of the stone on the finger. The moonstone is a lovely cloudy milk transparent color with a small hint of the blue flash. 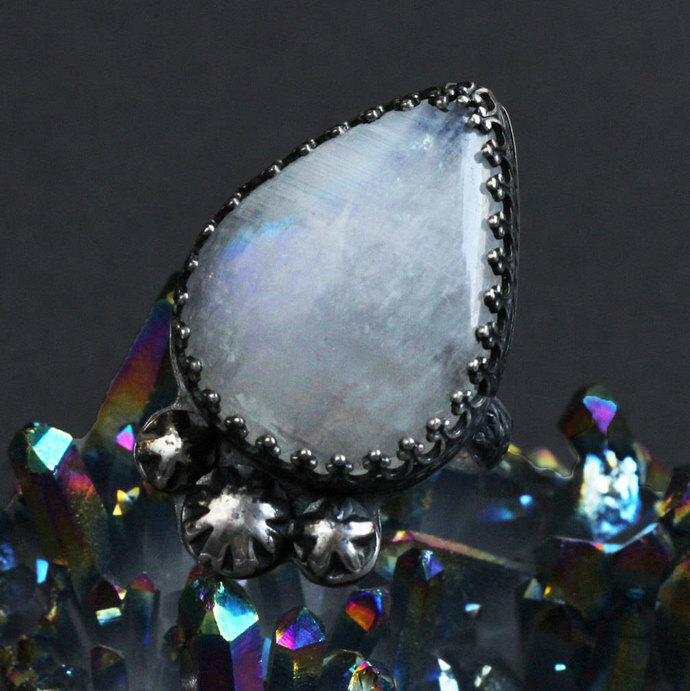 The setting has been given a black patina to help the color of the moonstone standout. It has all been polished to what I like to call an "antique mirror finish". It's my signature polish. *Ring size is 8.5 and due to the nature of the band I cannot adjust the size.